DrivingSchools.net is driver's education program service that can dismiss ticket(s), reduce fines, reduce license points reinstate suspended license, or save money on your car insurance payments by taking one of their quick Georgia state-approved courses. 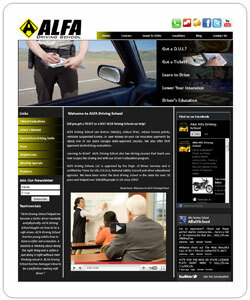 ALFA Driving School also has driving courses that teach you how to pass the driving test with our driver’s education program. GrossiWeb created a driving course booking and scheduling system. Fully functional eCommerce payment integration with PayPal. Social media integration with Facebook, Twitter, and Youtube. 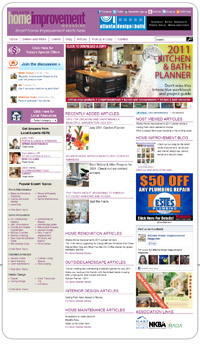 AtlantaHomeImprovement.com has been the leading resource for all issues related to the home improvement industry. Atlanta Home Improvement magazine is committed to bringing readers the most comprehensive and timely information on a local level. GrossiWeb brought this website to modern potential by installing an events calendar, a banner ad management system with Google analytics, and extensive social sharing. Users are able to find magazine deposits effortlessly with a custom search based on zip code and radius. Using a custom script, the website constantly synchronizes article imports from the mother site. The Atlanta Home Improvement website was custom designed and built on an easy to manage content management system (CMS) to attract customers via the search engines. 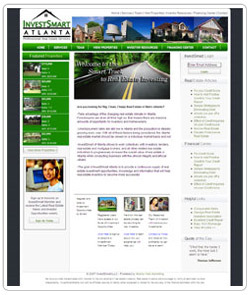 We support Atlanta Home Improvement with monthly website support and web design services. AtlantaMedicalInstitute.com is a premier, highly trained medical group specializing in the latest pharmaceuticals in natural Weight Loss and Anti-Aging protocols available today. They only use cutting edge technology and proven techniques to tailor their physician supervised treatment programs. The Atlanta Medical Institute website was custom designed and built on an easy to manage CMS system to attract customers via the search engines. We support Atlanta Medical Institute with internet marketing and search engine optimization (SEO) services. AtlantaSnoring.com offers simple office procedures that are effective in reducing or eliminating snoring in most people. The causes of snoring vary in each individual and can only be determined during an evaluation by one of our board certified Ear, Nose, and Throat (ENT) physicians. The Atlanta Snoring Institute website was custom designed and built on an easy to manage CMS system to attract customers via the search engines. The website will be used as the primary portal to receive visitors from traditional advertising campaigns including TV and Radio commercials. 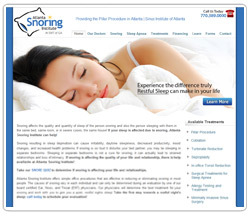 We support Atlanta Snoring Institute with internet marketing and search engine optimization (SEO) services. BestSelfAtlanta.com is a local fitness magazine created for the purpose of providing information, tools, and resources to help readers realize their potential and live their best life. The site offers information to charity and volunteer events as well as numerous articles on popular topics such as health & wellness, fitness & weight loss, beauty & aging, food & nutrition, and life enrichment all sponsored by Atlanta's experts. GrossiWeb created an event calendar for users to find charity or volunteer events by sorting through date, city, title, and venue. Users can easily find a copy of Best Self magazine by using the distributor locator based on zip code and radius. Coupons and vouchers are available through special offers. Extensive social sharing with Facebook and Twitter. 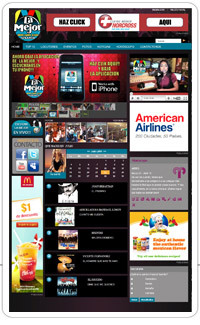 Featured advertisers and banner ad management system. The Best Self Magazine website was custom designed and built on an easy to manage content management system (CMS) to attract customers via the search engines. We support Best Self Magazine with monthly website support and web design services. 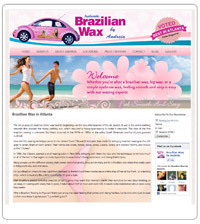 WaxingAtlanta.com offers premium waxing services at six locations in Atlanta. They have been voted best wax in Atlanta by INsite magazine. Their perfection of the brazilian waxing technique emenates from over 10 years of experience. The website was redesigned by GrossiWeb for a more professional and effective marketing strategy. Features include simple subscription to the newsletter, blogging, and social networking. 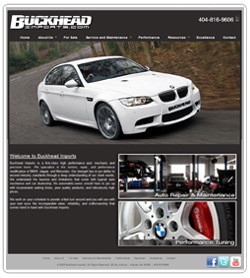 BuckheadImports.com is a high-end auto tuning shop headquartered in Atlanta, GA. When Buckhead Imports decided to enter into automotive brokerage, they called GrossiWeb for the Marketing and IT support. We developed a dynamic automobile database with the ability to attach comprehensive specifications, images, service logs, and an overall summary on each vehicle. The system also has an integrated newsletter program that sends out monthly electronic newsletters to their clients informing them of existing promotions and organization news. We support Buckhead Imports with internet marketing and search engine optimization (SEO) services. 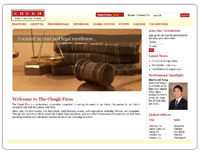 Chugh.com is a superior company of dedicated Attorneys and CPA's that regularly assist their clients on issues regarding Tax, Immigration, U.S. and India law, Litigation, Corporate Transactions, Family Law, Bankruptcy, Real Estate Transactions etc. We support the Chugh Firm with internet marketing and search engine optimization (SEO) services. DarrynMurphyDesigns.com is a world class floral designer and event planer for the ultra elite. Darryn’s natural talent has lead to the production and design of many high profile weddings and upscale events. During her creative journey, her work has been published in wedding magazines and publications such as the New York Times. DinarBanker.com is the perfect example of a well executed interactive marketing campaign. When the client approached us they gave us a brief synopsis of the business model and industry and our team quickly went to work studying the competition and the multiple options for attack. Eight weeks later we launched the site targeting North America and China. On the first day of publishing the client received orders equating to 200% of their total development cost. Today, the company has expanded their marketing campaign to the global level and are yielding a monthly ROI ranging from 300 – 500%. 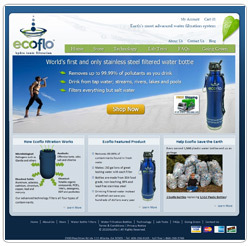 EcoFloWater.com is dedicated to becoming a prominent company in the fast-growing water filtration industry by developing and marketing a portfolio of top-quality water filtration products and brands in North America and global markets. Their products include filtration water bottles, pitchers and straws. Shopping cart eCommerce solution with payment integration. Interactive flash map that locates stores within states. 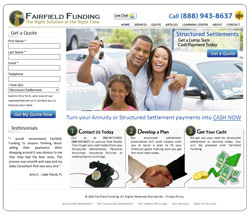 FairfieldFunding.com is a full service funding company specializing in purchasing and funding Structured Settlements and Life Settlements. Collectively, Fairfield Fundings management has over 60 years of experience in the financial services arena and specializes in meeting the short termfinancial needs of our clients through low cost funding transactions. We support Fairfield Funding with search engine optimization (SEO) services to establish our client's brand online and drive traffic to their site. FitFanaticLA.com is a celebration of living fit and feeling good. It’s about approaching life with energy, optimism and a youthful curiosity that allows you to continue evolving as a person. You can’t achieve this unless you’re willing to step outside your comfort zone and try new things, right? Queue in… FitFanatic, your resource for finding fresh ways to move your body, eat delicious, nourishing food and learn about products that make living healthy easy and fun. No matter what level you’re at, positive energy is contagious. By improving your own health, you inspire those around you to become fanatics of living fit too. FreedomsWatch.org was formed to promote the common good and general welfare of the American people by supporting mainstream conservative public policies. They engage in grassroots lobbying, education and information campaigns, and issue advocacy and also seek to create coalitions and collaborate with like-minded groups and individuals to further our common goals. Freedom’s Watch provides a credible conservative voice and strong leadership on pressing domestic and international issues to keep America strong, safe, and prosperous. 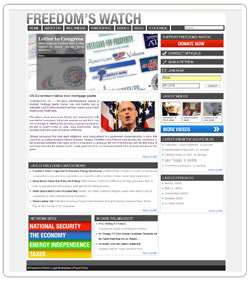 The development of the Freedom's Watch web site is a collaboration between NJI Media and GrossiWeb. GeorgiaBankruptcy7and13.com is the law offices of experienced bankruptcy attorneys and Kevin J. Pratt. The site provides bountiful information on how to file for bankruptcy as well as resources and forms. They specialize in affordable chapter 7 and 13 bankruptcy filing and offer the first consultation absolutely free. 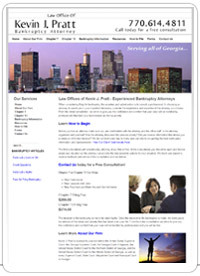 We support Georgia Bankruptcy 7 and 13 with internet marketing and search engine optimization (SEO) services. The GrossiWeb online public relations team develops Press Releases that are distributed by multiple internet news sources, greatly increasing the firm's online visibility. HumesMcCoyAviation.com is a full spectrum aviation company that provides air charter, air craft sales, and helicopter touring services for elite entertainers, key political figures and enterprise level corporations world wide. Since the launch of the global marketing campaign, we have helped expand the business to Asia, Latin America, and Europe. We support Humes McCoy with their Interactive Marketing and Technology. 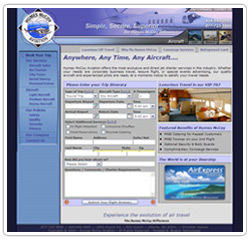 Currently their web portal has the ability to accept flight itineraries, requests for specific aircraft information, and customer feedback. InvestSmartAtlanta.com is an online real estate company that focuses on marketing their constantly changing database of Atlanta investment properties. Their online marketing campaign consists of continuously adding content to their online library of real estate articles and a weekly newsletter with up to date details on investment properties in the Atlanta area. We equipped their site with an entire back end system complete with CRM tools that allows all their real estate agents to track all their leads and contacts, attach and share notes with other agents, and schedule appointments and closings on the calendar and easily update. LaMejorEstacion.com is the hottest and most prominent latin radio station in Atlanta. The site shares the top 10 songs on the station, news, events, media, surveys, horoscopes, and profiles on the loctutores (radio hosts). The La Mejor Estaction website was custom designed and built on an easy to manage content management system (CMS) to attract customers via the search engines. We support La Mejor Estacion with monthly website support and web design services. 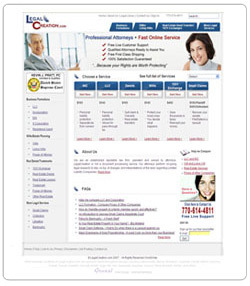 LegalCreation.com has set out to advance how lawyers and their prospective clients conduct business. Their Professional Attorney's and Trained Staff provide Top Quality Legal Service through their website and online application system. We developed a robust and user friendly system that allows visitors who are looking to start a business, transfer a property deed, register a trademark, close on a property, or file a small claim to easily learn about the various options pertaining to their case and quickly submit their information online. The web allows them to receive ultra professional legal service at a fraction of the cost and time. We support Legal Creation with internet marketing and search engine optimization (SEO) services. 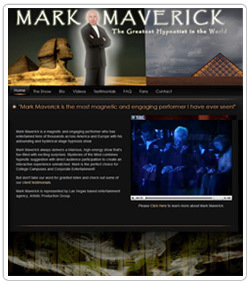 MarkMaverick.com is a magnetic and engaging performer who has entertained tens of thousands across America and Europe with his astounding and hysterical stage hypnosis show. Mark Maverick always delivers a hilarious, high-energy show that's fun-filled with exciting surprises. Mark's website allows him to quickly add videos from his latest performances and interface with various booking agencies and promoters to add upcoming events across the globe. MaysAndKerr.com is an expert partnership of lawyers that offers a complete range of employment law and litigation services. They offer cutting-edge technology such as digital document management, video conferencing, and audio/visual multimedia integration for seamless and effective introduction of evidence and arguments at trial. GrossiWeb installed a Supreme Court news feed on the website so that users can view the latest articles on important law information. 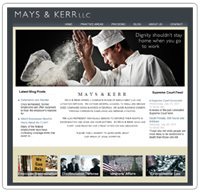 We support Mays & Kerr with internet marketing and search engine optimization (SEO) services. 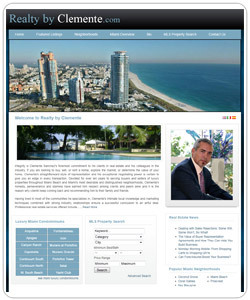 RealtyByClemente.com is a professional real estate service which offers ten years of experience and specializes in serving buyers and sellers of luxury properties throughout Miami Beach and Miami's most desirable and distinguished neighborhoods. GrossiWeb integrated the MLS IDX database into the site, so that the site only brings in properties from Florida, therefore no property updates need to be done manually, saving time. The site has easy navigation, cross navigation methods, and an intensive map search. Users can easily find various custom output of properties based on location, condominium block, and price. Clemente Sanchez is trilingual, and we exploit this by integrating a language translation tool for English, Spanish, and Italian. 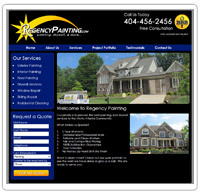 RegencyPainting.com is focused on bringing high quality painting and drywall services to the Metro Atlanta area. Other services include window repair, siding repair, and residential cleaning. The Regency Painting website was custom designed and built on an easy to manage CMS system to attract customers via the search engines. Multimedia project portfolio with photos and videos. SnoringFtLauderdale.com is a clinic of Dr. Curtis D. Johnson located in Ft. Lauderdale, Florida which specializes in the unique and extremely effective Pillar Procedure for the treatment of snoring and sleep apnea. The website will be used as the primary portal to receive visitors from traditional advertising campaigns including TV and Radio commercials. 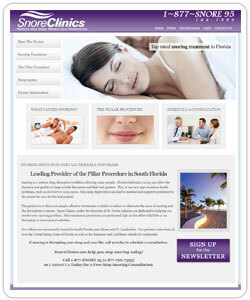 The Snoring Ft. Lauderdale website was custom designed and built on an easy to manage CMS system to attract customers via the search engines. We support Snoring Ft. Lauderdale with internet marketing and search engine optimization (SEO) services. 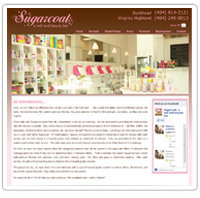 SugarcoatBeauty.com is "the sweetest mani-pedi in Atlanta!" They offer services such as waxing, spray tan, massages, and an intricate menu of manicure and pedicure options and packages. Private parties are available in which six mani-pedis can be performed at once. Also beauty products are on sale. Social media integration with live Facebook news feed embed on site. 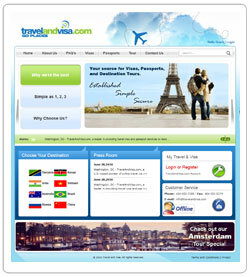 TravelandVisa.com is a travel management company that provides online visa services and U.S. passport solutions enabling travelers to apply online for Visa's. They can also obtain, renew, replace or add pages to passports for U.S. Citizens. 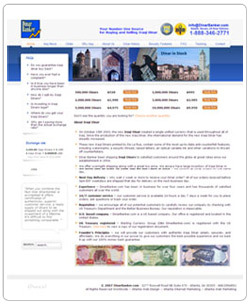 Customers can apply for travel Visa's simply by filling out one universal, 100% paperless electronic form. Custom Visa order management system. Custom Passport order management system. Fully functional eCommerce payment integration with PayPal and credit/debit card. Implementation of multisites so that each country's visa page is seperate in their own domain, promoting search engine traffic results. 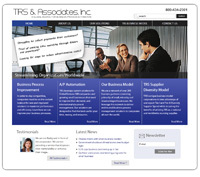 TRSassoc.com is a recognized and highly effective provider of outsourced business process management services. They design, develop, and implement business process automation and document management outsource solutions for corporations and government agencies. We support TRS Associates with search engine optimization (SEO) services to establish our client's brand online and drive traffic to their site. 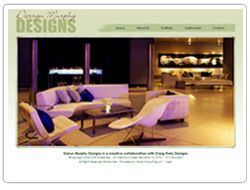 TuContactoUS.com is one of the largest and most popular portals for Latin Americans living in the United States. With an incredible amount of news and original content being fed automatically as well as social media integration, this website truly leverages technology. TuContacto combines the best of CitySearch (business ratings and reviews) with breaking news of Yahoo and the hottest events in your city. TuContacto is set to launch 25 total sites in the largest hispanic markets in the United States. Please check it out and let us know what you think. The development of the TuContacto web portal is a collaboration between the lovely ladies at Ohrange Design and GrossiWeb. 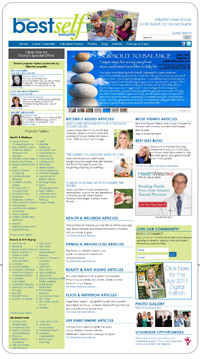 WHAatlanta.com is an experienced team of board certified providers including obstetricians, gynecologists, a physician assistant and a nurse practitioner/lactation consultant. They have over 30 years’ experience in high quality obstetrical and gynecological care. 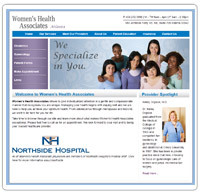 The Women's Health Associates website was custom designed and built on an easy to manage CMS system to attract customers via the search engines.